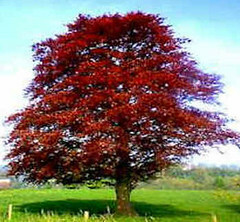 What Colour is a Copper Beech? All these are often seen. Where all the leaves were red. My heart will sing with praise.